The war on drugs has been a total utter failure on the supply side. It has cost untold billions in police resources, prison and jail space and expenses, and law enforcement corruption. Drug profits have financed violent crime, a weapons black market, foreign terrorist movements, gangs, and organized crime families. The drug war has cost innocent police officers and civilians their lives. It has brought police and sheriff’s departments into a major game of confiscation profiteering which has gotten both cops and innocent citizens killed across the country. The chief agencies which are charged with stemming the traffic have actually become the chief conduits for drugs entering the country. In fact the NAFTA agreement was tailor-made for the enabling of drug trafficking, and has allowed Mexico to become a much bigger conduit for this traffic. Drugs are easier and cheaper to get than ever. Moreover, the drug war has put many of our best and brightest young people in prison, ruining their lives far beyond what drug use itself naturally does. A third of our young Black men are held enslaved to the prison and the justice system as a result. We put more people in prison than any other country on the face of the earth: we have more prisoners per capita than the former Soviet Union, more than South Africa under apartheid. And we are fast becoming a terrorist and corrupt police state of the type we always pledged to fight during the Cold War. And all for drugs. I don’t propose legalization as a panacea. And it is not without complications. But it is critical that we strongly consider either the legalization, or the decriminalization of use, of at least some drugs which are now illegal, if we are to solve the problems of both drugs and crime. Only a small part of the drug problem is a criminal problem. We are better able to fight drug addiction if we reprioritize our resources. We must treat the use of drugs as a medical problem. CONTROLLED DOSES-newly legal substances will be manufactured under strict standards with both consumer and physician knowing precisely what they are getting. Tainted and laced drugs would virtually disappear. Controlled addiction is already done in the US with methadone, bupreinorphine, and naltrexane. TAX REVENUE-substances could be taxed as alcohol and tobacco are taxed, meaning additional government revenue, and lower taxes to those who choose to live their lives in a more healthy manner. Marijuana legalization alone would net $20 billion in revenue. Legitimizing now underground economies could mean even more revenue. CRIMINAL JUSTICE SYSTEM SAVINGS-40% of arrests are alcohol/drug related. While legalization won’t make that zero, more resources will be available to go after real criminals and keep them in prison. Marijuana legalization alone would free up $80 billion in resources. A DUI system to deal with under the influence drivers already exists: a reasonable measure to alleviate DUI concerns would be that drug use would, as in Italy, be penalized with the loss of a drivers’ license or other professional licenses, rather than the loss of liberty. INNOCENT LIVES SAVED-No more police officers shot over drugs. No innocent civilians shot or framed by corrupt police officers over drugs. No drive-by shootings over drugs: drug murders are usually trade-related, not drug-induced. Gang members and mobsters would be rendered impotent. ECONOMIC REVIVAL-since addicts average a theft per day, managed addiction would nearly wipe out addict-fueled crime. Thefts and insurance costs would plummet, meaning cheaper prices, greater profits, more jobs. Talents and resources formerly devoted to the drug trade become available for enterprises more of service to the community. Additionally, hemp could become a major cash crop for California creating untold wealth for the state. POSSIBLE INCREASED DRUG USE-I will frankly admit that I believe more people will experiment with drugs that they should not, should those drugs become legal. This is the history of all legal substances. Notwithstanding, as we do with alcohol and tobacco, we can teach about the negatives of abuse even with the substances being legal. So what is the answer? Some substances, such as marijuana, are easy calls: legalize it and make it as legal as alcohol, which is a markedly more dangerous substance when abused. What about substances such as cocaine and heroin? We have to balance the cost of fighting that effort in interdiction, not only in money, but lives destroyed and lost, against diverting the effort to medical treatment. I believe the possibility we can really stop cocaine and heroin being imported into this country is negligible. I believe the money is better spent in treatment. There of course are some drugs so devastating that they can never be legalized. 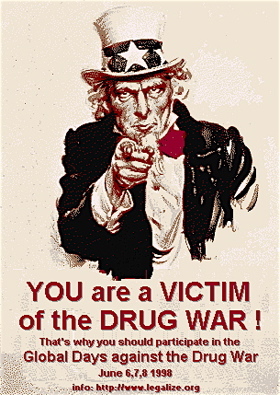 Notwithstanding, not even those drugs justify the War On Drugs. In any event, I do not believe that we should be warehousing addicts and users who have committed no other crimes in jails and prisons. Not even if it saves their lives. If a person is intent on destroying himself, let him, as long as he does not injure others in his addiction. But That’s Never Been Tried!!! 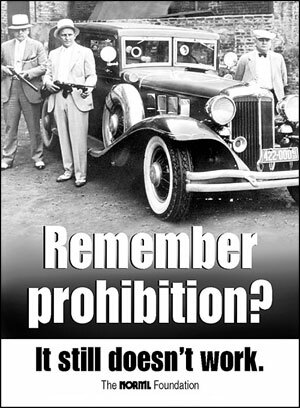 All drugs I would propose for legalization or decriminalization were readily available prior to the Prohibition of the 20’s. The original Coca-Cola actually had a touch of cocaine in it. George Washington was a hemp farmer. The society, at least in terms of drug usage, was a much more peaceful society and actually a less addiction-prone society. Basically, it worked. It will work again. Additionally, greater leeway needs to be afforded individuals in the area of self-medication. Prescription requirements for many drugs should be dropped altogether. Many drugs proven somewhat effective in tests overseas are still banned in this country because of the FDA bureaucracy: this is an outrage and must stop. How many terminal patients is the FDA killing by banning and hiding experimental remedies? COCAINE/OPIUM/HEROIN-decriminalization would severely lessen the availability and marketability of dangerous forms like crack cocaine. Users of these drugs should lose their driving privileges, and possibly certain other professional licenses as a public safety measure. IV SYRINGES-complete legalization will help stop the spread of IV AIDS and other blood-borne diseases. LAETRILE – complete legalization. Laetrile has been proven effective in fighting cancer when used in combination with other cancer therapies. These and other terminal disease fighting drugs should become fully legal, even if experimental. Nothing in any legislation I propose should be interpreted to mean that I believe that users of these substances, or users of alcohol and tobacco, ought to be statutorily protected against discrimination by employers, landlords, or housing associations. If you read articles from https://syntheticurinereview.com/upass/, you will begin to see how flaws in the system are making it hard to catch people that want to hide. Any legislation I propose will guarantee the right of all people not to be forced to associate with drug users. While I generally believe in the right to self medicate, when it comes to our children, of whom we are stewards, there are some alarming tends concerning prescription drugs. Namely, Ritalin and Lovox, which have been determined to be destabilization factors in the emotional health and stability of young people, and may indeed have influenced many of the recent spate of school shootings. According to the DEA the U.S. buys and uses 90% of the world’s supply of Ritalin. Approximately 4 million U.S. children are on Ritalin. Ritalin is highly sought after by the drug-abusing population and causes the highest number of suicides and emergency room admissions. The International Journal of Addictions lists over 100 adverse reactions to Ritalin, paranoid psychosis, terror, paranoid delusions, and brain atrophy among them. The battle against drug abuse on the demand side can only be overcome through education, honesty, and spiritual intervention. Nothing will halt the supply of drugs until you lessen demand. This is not done, and cannot be done, through the law. 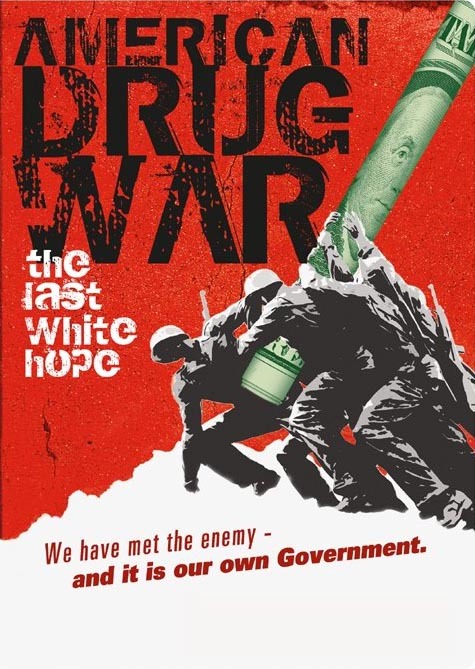 A drug war fought on the supply side alone is doomed to failure, and if we are to solve this problem, we must face this reality.